You had to be living under a rock to not have heard about The Ordinary or their super popular release of foundations. Considering they are so affordable and there were rave reviews, I simply had to try them out for myself. 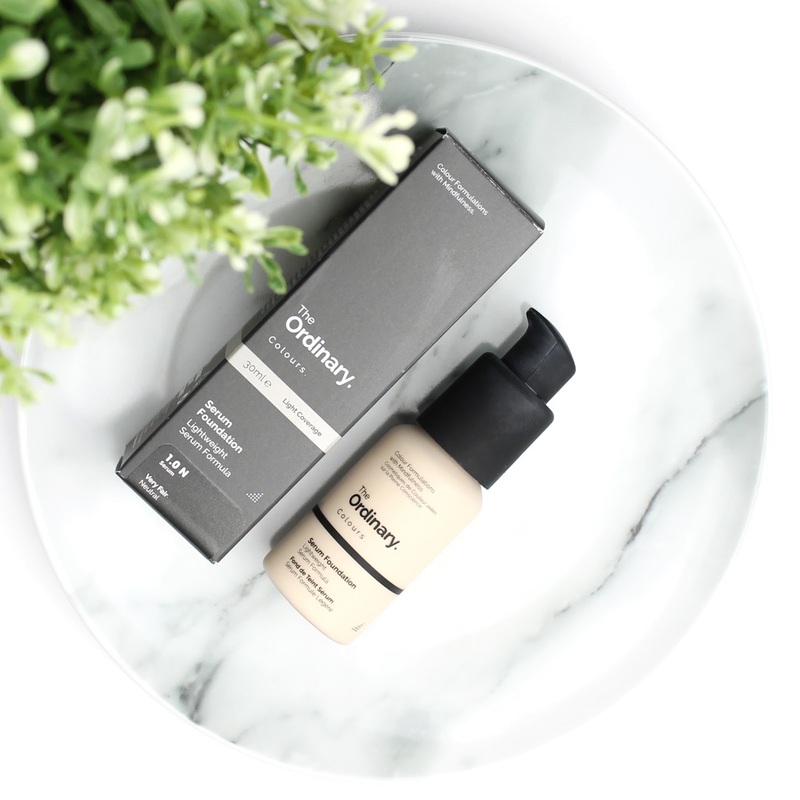 The Ordinary released two different foundation formulas: a Coverage Foundation ($12.90) and a Serum Foundation ($12.70). Any way you look at it, they are exceptional value, even compared to drugstore! The Coverage Foundation, as the name suggests, is a more full coverage, lightweight formula while the Serum Foundation gives a light, dewy, weightless coverage. Both of them have been out of stock intermittently and super popular, but when I spotted the Serum Foundation in stock in my shade, I had to pick it up. Foundation Comparison Swatches from The Ordinary. First, let's talk shades because there are a lot of them and it can be really hard to choose online. In a way I'm really lucky because I'm so pale that I just go for the lightest shade and its usually about right - if not too dark! The Serum Foundation comes in a series of numbers that indicate the depth of shade: 1.0 is very fair, 1.1 is fair, 1.2 is light, 2.0 is medium, 2.1 is another darker medium, 3.0 is medium-dark, 3.1 is dark and 3.2 is deep. From there, you have various undertones that are signified by letters like neutral (N), pink (P), yellow (Y) and red (R). Finally, a few shades even have silver and gold reflects in them. It looks really confusing at first but it actually is fairly simple and makes a lot of sense. I am very neutral undertones (maybe slightly yellow) so that part was easy. I picked the lightest neutral shade (1.0N) which is a good match for my natural tone (maybe a touch too light?) but I am going to buy 1.1N and maybe 1.2N so I have something for when I'm using a gradual tan. 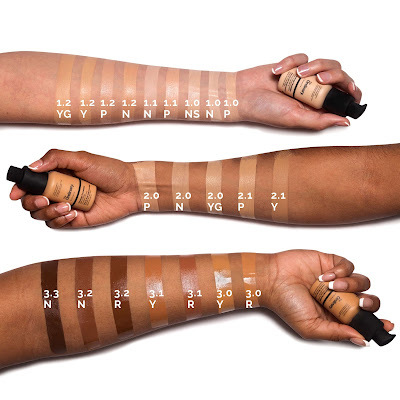 I have also included some comparison swatches with the other foundations in my collection, all of which are the lightest in their respective ranges. As you can see, The Ordinary 1.0N is the lightest out of all the ones I have so I am pretty impressed with the lighter end of the shade range. From left to right I have swatches The Ordinary Serum Foundation in 1.0N, It Cosmetics CC+ Cream in Fair, Bourjois Healthy Mix Foundation in 51 Light Vanilla, Giorgio Armani Luminous Silk Foundation in 3, Giorgio Armani Power Fabric Foundation in 2, Estee Lauder Double Wear in 1C0 Shell and Designer Brands Hydrating Luminous Foundation in Porcelain Ivory. The formula of the Serum Foundation claims to be a weightless serum texture and light, natural coverage. I would agree with the lightweight serum feel which is actually very watery. It reminds me a bit of the Chanel Vitalumiere Aqua right out of the bottle. As for the coverage, I would call it light, buildable to medium. It does a really great job of evening out skin tone and looks very natural on the skin. 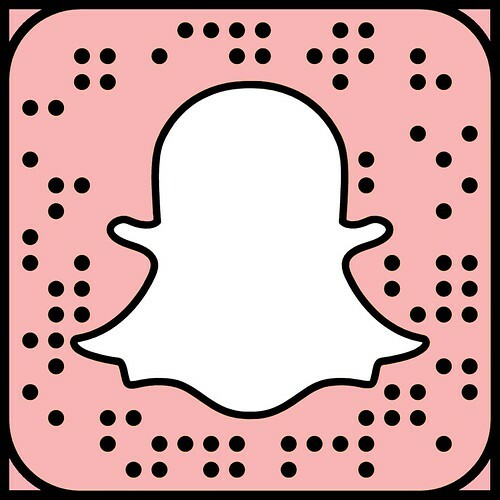 I really liked the coverage, especially for everyday. I wouldn't call it a dewy finish either - it is more like satin skinlike so it looks very natural. The application of this foundation was so easy, even on my dry skin. I just used my usual Beauty Blender and it blended in very quickly and easily. Considering the watery serum formula, I didn't even really loose too much product soaking into the sponge. I have a lot of trouble blending a lot of foundation formulas into my dry skin but this one was great. The only downside was that it did cling to my baby hairs a little bit which made me look powdery, even when I wasn't. As soon as it settles into the skin though it looked great. Also, because it is a serum foundation it never looks heavy and it doesn't settle into any creases or lines because it's such a thin, lightweight consistency. The wear was honestly quite good on my skin and I still definitely had coverage and an even skin tone at the end of the day some 8+ hours later. It must be said that my dry skin isn't the best measure of foundation wear because it really isn't something I have trouble with. If you have oily skin, I would say that it may not last through the day but I think this foundation is much more targeted at dry to normal skin anyway. As for the packaging, I wasn't a huge fan. As much as I usually like pumps, this formula is a bit too watery for it to work well. The pump action isn't very smooth so when it depresses, it goes all the way suddenly and sends a spurt of foundation flying. I think a controlled squeeze bottle like the Chanel Vitalumiere Aqua would have been better. Also, the top pump is that dreaded matte black rubberised plastic, just like Nars packaging, and will always look dirty. All in all, I really love this foundation and will definitely repurchase it because it is such a great everyday staple. It gives me the exact finish and coverage I love in an everyday foundation and costs so very little so I won't even be mad when I finish up a bottle. It is just so affordable and I think the shade range is pretty awesome too so most people will be able to find a match. If you have normal to dry skin and love a natural finish, this foundation is definitely a winner! 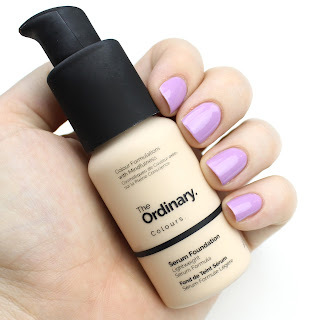 Will you be picking up one of The Ordinary foundations when you can actually find it in stock? Have you already tried one of the two formulas? Let me know in the comments below. Disclaimer: I paid for this product with my own money. As always, my opinions are my own. 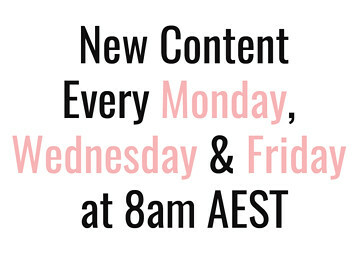 15 comments on "The Ordinary Serum Foundation"
Yay!! I have been waiting for some reviews on this because I am dying to try it, but after hating the coverage foundation I was nervous. It looks so lovely on your skin! I love that they have really light shades as well. Thank you for your honest review and the before and after photos. It looks really good on you! I've been tossing up getting the coverage or serum foundation. I'll probably just get both since they're so cheap! Wow, I didn't realise this brand was so affordable! Sounds like it has pros and cons, but I definitely want to check these foundations out! Yeah the Ordinary is so affordable! I've been using their Hyaluronic Acid too and its amazing. It looks gorgeous on you Emma!! I haven't really heard much about this foundation since its release! It looks like a good cheap everyday foundation!! I have to say I'm jealous - this looks gorgeous on you but sadly didn't work for me! I was definitely impressed by how pale the shade is though - so good for us pale gals! Aw, it is a bummer it didn't work for your skin. Are you a bit oilier? You are definitely spot on with the shade praise though - other brands should take note! I was so impressed by the Coverage foundation that I'm very tempted to pick up the Serum one. It's so cheap I might as well! Probably when I finish at least one of my other light coverage bases though haha...! The foundation sounds so good, I like the natural finish. I like serum foundations, love the texture and the skincare benefits, last one I purchased was from Perricone MD, need to check this one.